Spread over 14 levels of luxury living and mixed use, this facility has been air conditioned with high end, fully ducted DX systems to the entire facility and all apartment space including all bedrooms. 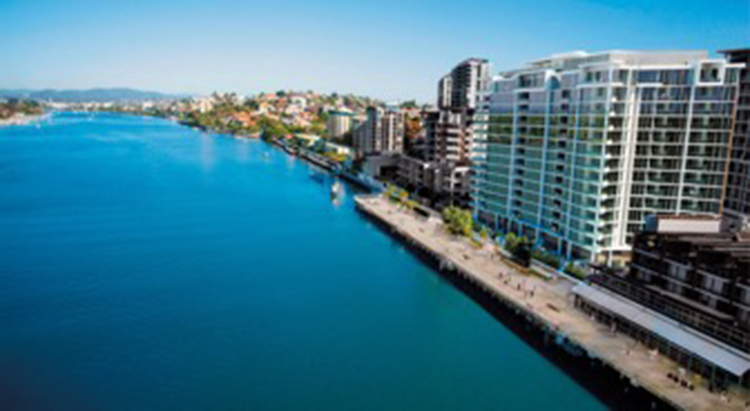 Portside Wharf is one of Brisbane’s modern landmarks with spectacular views and a relaxed atmosphere. A lifestyle hub with residents, high-end retailers and award-winning restaurants. You can enjoy the spectacle of watching international cruise ships pull into the port, relax at sunset with cocktails and tapas at one of the many restaurants or Bars, treat your taste buds to a fusion of flavours at Sono Japanese Restaurant or catch the latest blockbuster at Dendy Cinemas.